This is a fast and easy dish, perfect for summer days. 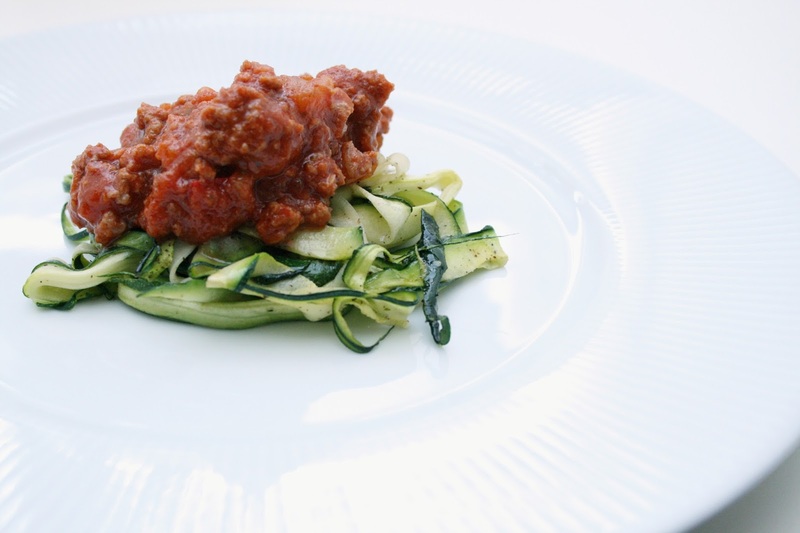 It's a combination of a satisfying meat sacue, mixed with a low-carb, healthy zucchini spaghetti, that honestly gives you the same satisfaction, as the original version. Step 1: Place a pot on the stove and turn it on medium-high heat. Add 1 tablespoon of olive oil to the pot and let it heat up. Meanwhile you can dice your onions, garlic and bell peppers. Step 2: Add the onions and garlic to the pot and let it heat up and turn translucent, before adding the minced beef. Wait for the meat to turn brown, then add the bell peppers. Step 3: Turn the heat down to low-medium and add tomato puree/paste, let it heat up before adding the can of diced tomatoes. Step 4: Season with salt, pepper and Italian seasoning and let it simmer on low heat, with a lid on, until everything else is done cooking. Step 5: Wash your zucchinis and cut of the ends. Now grab a carrot peeler and start peeling layers of the zucchini off, until you reach the seeds in the middle of the zucchini. Now turn it 90 degrees and peel that side aswell until you reach the seeds. Turn it again, do the same and finally turn it on it's last side and do the same. You will now have wide, long slices of zucchini, you can leave them like that or like I did, cut them lengthwise into thinner pieces, using a knife. Throw away the middle piece with the seeds or use it for a salad the next day. Step 6: Place a pan on the stove and turn the heat to medium, add 1 tablespoon of olive oil and let it heat up. Now add the zucchini slices, making sure to separate them from each other, so all the pieces get the same amount of heat. Stir it around a bit to get the oil mixed in with everything and let it sit for five-ish minutes. The zucchini slices should now be soft and feel just like spaghetti. Step 7: Serve up some of the cooked zucchini spaghetti and the meat sauce and your meal is ready! 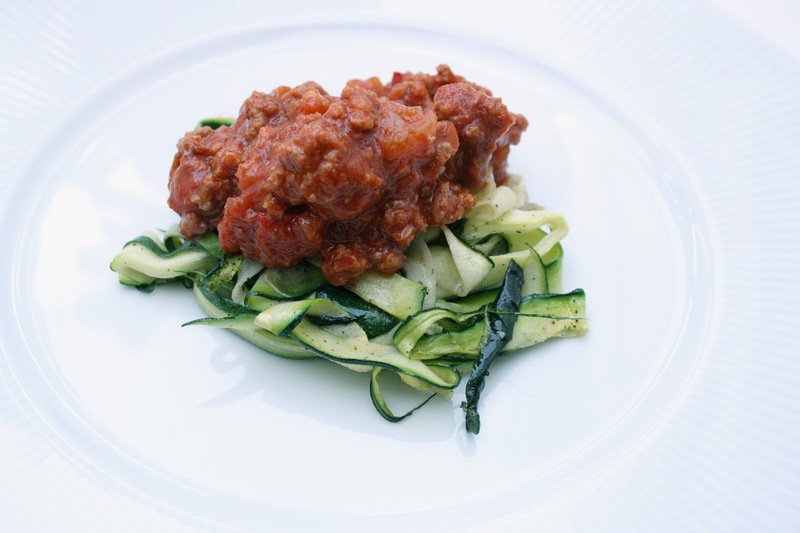 This dish tastes just like normal spaghetti with meat sauce, this is just a low-carb version. Enjoy!